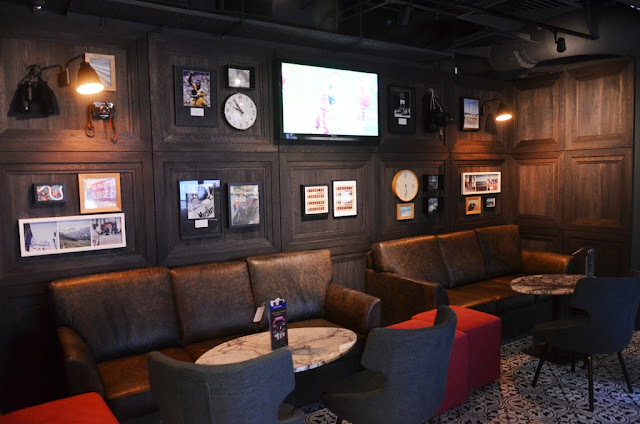 Where was the last pub that you caught a live telecast of the English Premier League or maybe the French Open? Well, we did it at Harry's and this home grown establishment is surely home to many sport fanatics like us! 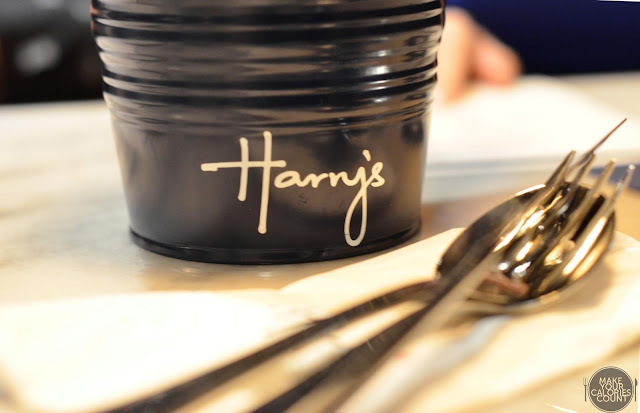 While most would agree that Harry's is more of a place for Happy Hour and probably some finger food, few would actually take notice of their extensive food and drinks menu which features some 50 dishes, complete even with pairing tips! 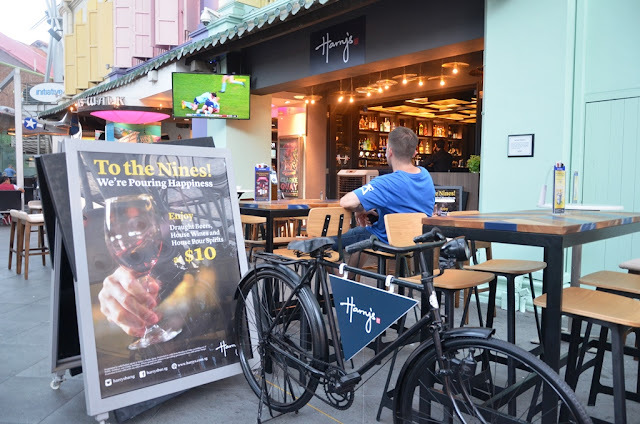 Located right beside the Central Fountain Square at Clarke Quay, this latest outlet is differentiated by a well-trodden bicycle outside. This not only represents the trademark laidback vibe that Harry's hopes to bring to its guests but also a pit-stop for them to refuel. Some pints of the Harry's premium lager would surely do it for us at least! It is almost a mantra to have a pint when you are at Harry's and this visit was no different. 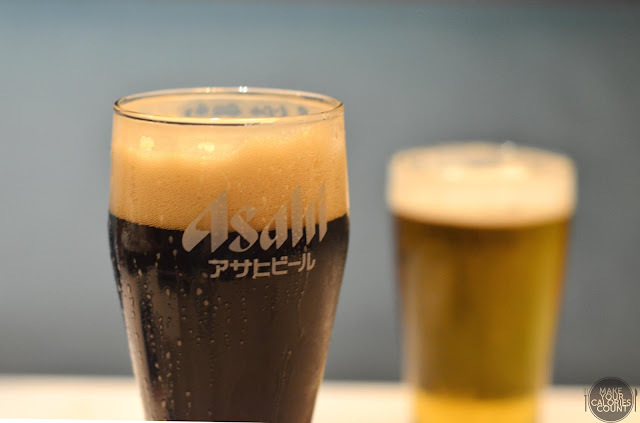 Kickstarting our evening with a pint of Asahi Black and house's special of Harry's Premium Lager! 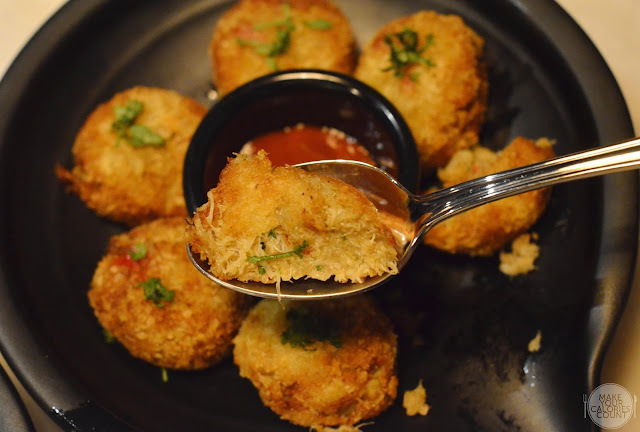 Be it with colleagues, friends or even family, knocking some pints over and scrambling for some light bites seems like the old-fashion but never out of style manner of bonding with each other so here we go! 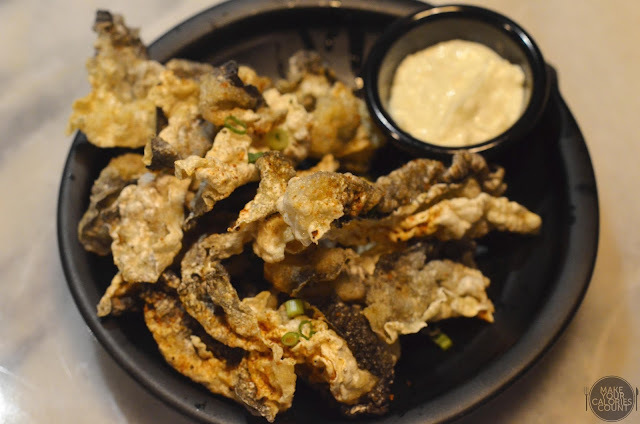 You can hardly go wrong with the house's special and that goes without saying for the signature wings that were deep-fried to a tan of golden brown delicious. Dressed in a secret spice, the homemade chilli sauce was definitely something to savour with a burn that excites. For those who can hardly take the heat, fear not as you can always wash it down with another pint of draught beer. A small plate to go around sharing and hear some crackle as the crispy fish skin was deep fried, without the grease, and tossed with house spices. A side of aioli was also served and the light mayonnaise complements the snack perfectly. While we held high hopes for the cakes that came served in a coat of golden brown breadcrumbs, the texture was somewhat disappointing to say the least. We enjoyed the freshness of the blue swimmer crab but the potato cake lacked a firm hold to hold it together. One would probably struggle to pierce it through with a fork and dip the Sirarcha tomato dip without creating a mess for your fellow dining companions as the soft and slightly mashy cake would crumble. 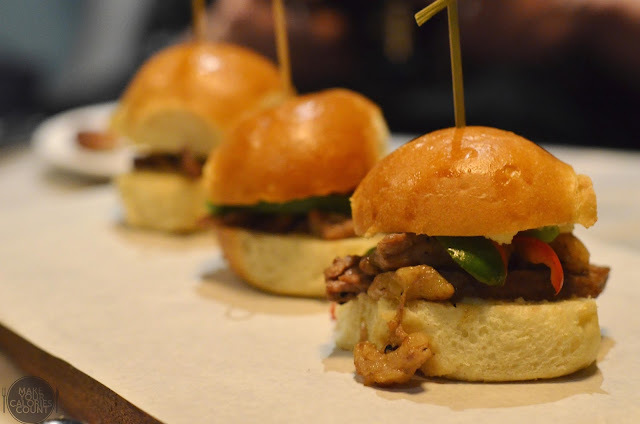 Served in trios, the juicy steak sliders was cooked just right, leaving the protein still succulent to the bite. What upsets me though was the lack of harmony in the bun as the charred bell peppers and jalapeno cheese sauce somehow failed to unite the flavours. I ended up enjoying the steak slices separately on its own as credit goes to the chef for nailing it right with the seasoning and grill. 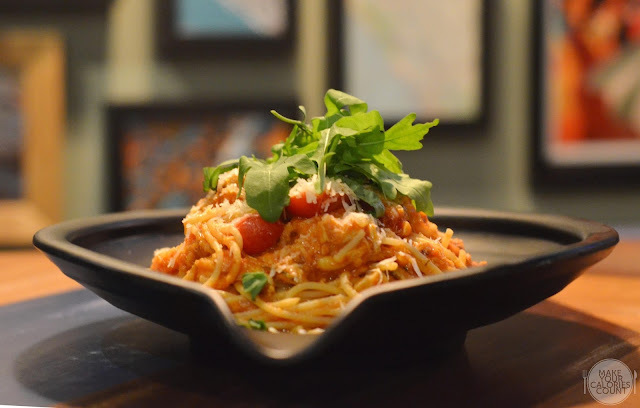 For the pasta, it was easy to identify the plus as the handpicked crabmeat was bursting with freshness. The flavours were however slightly muted despite the rich tomato sauce that saw the addition of freshly cut chillies. It however failed to lift the overall taste of the dish and what was disappointing was the dullness in texture. Our spaghetti was cooked just slightly over the mark of al dente so despite the crunch of the pine nuts, it tasted a touch too soft for my preference. Quite frankly, I was never quite expecting to taste some Indian food at Harry's and the pot of chicken masala on the menu surely caught my attention. While this was an interesting, albeit a refreshing addition to the menu, the dish would need some tweaks to draw the crowd. 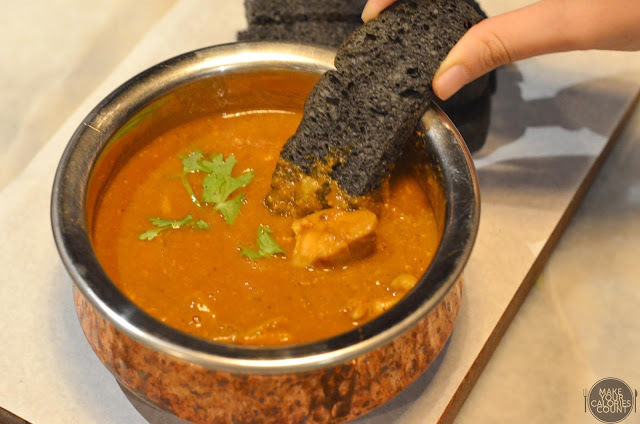 We liked the added touch of toasting the charcoal bread before service but the letdown was the viscosity of the sauce. It was just a little too runny and lacked depth in its flavours. 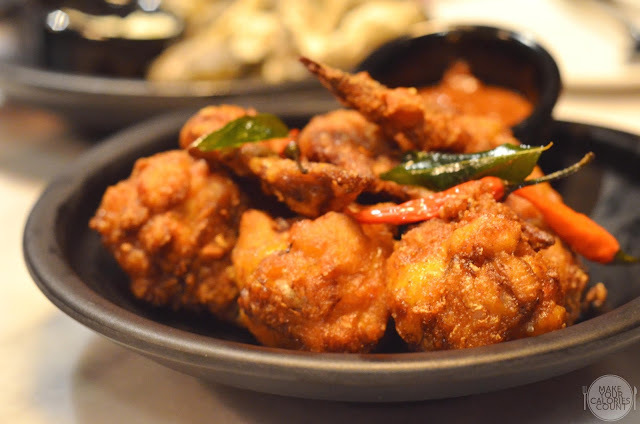 What we enjoyed however was the succulent chicken chunks that also saw a generous portion being served! Never say no to desserts and this mandate applies on this occasion. 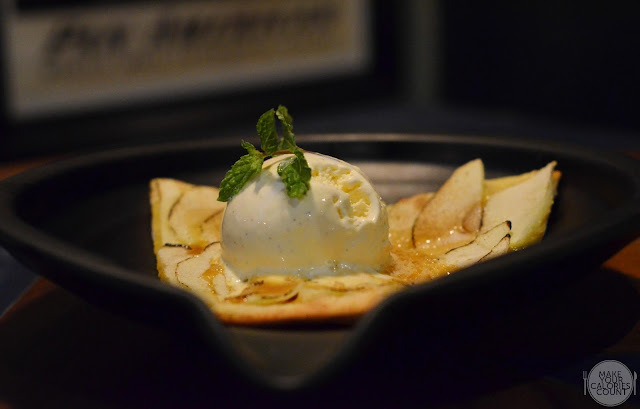 A newly introduced dessert, thinly sliced apples on crust pastry was served alongside salted caramel and vanilla ice cream. While the guests at the table enjoyed the ice cream, the pastry failed to meet our expectations as it came across rather stale and cold while crisp was the adjective I hope to ascribe to the delightful looking sweet treat. 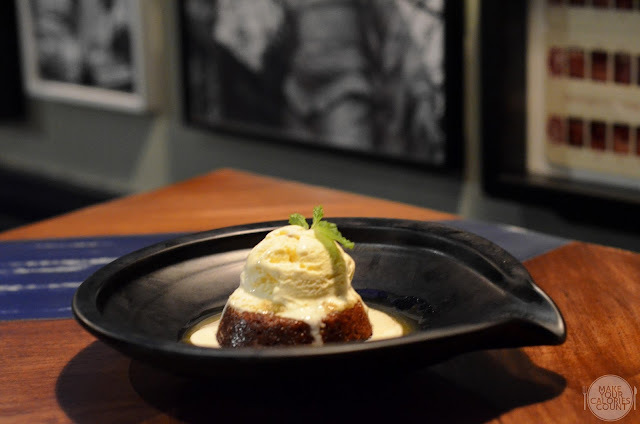 Reputedly one of the signature desserts, the sticky date pudding was served with a pool of toffee sauce and classic plain vanilla ice cream to neutralise some of the sweetness. I enjoyed the fluffiness of the pudding though this can be quite a heavy dessert given the richness of it, a guaranteed sugar rush after effect! 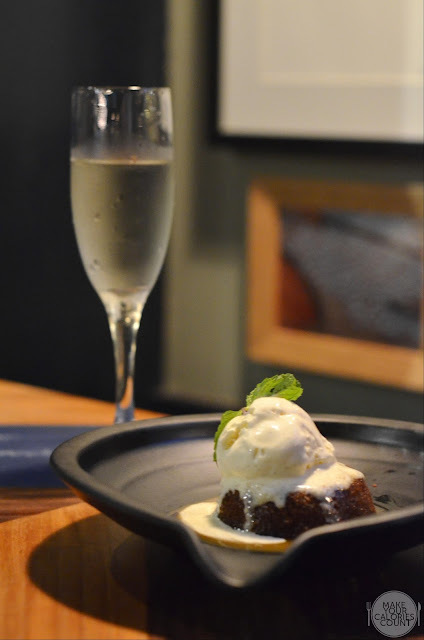 We were recommended a pairing of the sticky date pudding with moscato, an Italian sparkling wine that is mildly sweet and went perfectly well with the dessert! 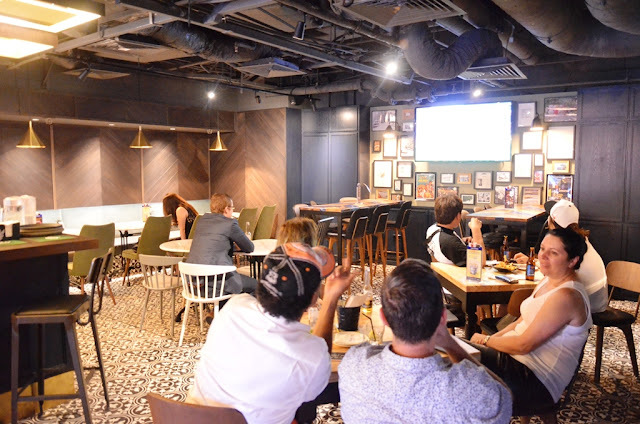 Overall, we loved the ambience of the place and it always makes one closer to the next traveller seated beside when you cheer for the same home team being televised live on the big screen. During our visit, there was a football game being featured and from time to time, you can hear some cursing and cheering being shouted across the hallway. That is the absolute beauty of basking in a pub! Besides having eight types of brew on tap such as Asahi Super Dry (S$16/++) (my personal favourite), Kronenbourg 1664 Blanc (S$15.50) and Tetley's Smooth (S$15/++), there are also various types of cocktails designed for the ladies or simply for the gentlemen who choose to unwind to a zesty drink. 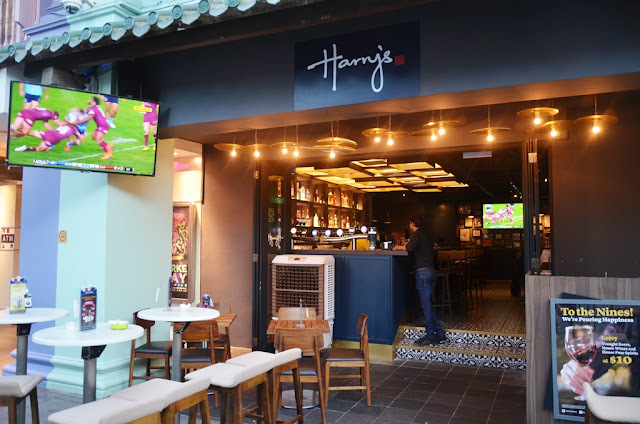 Do give the Harry's 1992 (S$16/++), a concoction of vodka, blue curacao, lychee liqueur, grapefruit and lime juice a try or even the Harry's Old Fashioned (S$16/++), a whiskey-based cocktail with a touch of Angostura bitter and orange zest. With no lack of comfortable lounge sofas to chill, it would not be long before we revisit for some of the draught beers and the finger food platter for sharing!